If you’re coveting a ‘scruffy’ stubble look, then you’re likely to be a man who keeps up with the latest trends. Many people think that stubble is low maintenance but in actual fact, it can be just as difficult to maintain as a full beard. It’s all about getting it at just the right length. Sideburns are for the guy who likes to have fun. It shows you’re experimental, playful and not afraid to make a statement with your facial hair. The moustache has been made popular by charity movements like Movember. Whilst it used to be older men that wore a moustache, younger men are more commonly wearing them now too. We’d say the moustache is for the man who isn’t afraid to stand out from the crowd and be noticed. He’s a little bit quirky and doesn’t care what others think about him. Out of all of the current beard styles, the goatee is probably the least fashionable. Back in the mid-to-late 90’s it was all the rage but it was one of those things that ended up being a little overdone. Some men still wear it but if you want a beard that’s on-trend, the goatee isn’t it! The horseshoe moustache is commonly associated with bikers and wrestlers (we’re looking at you Hulk Hogan). It’s a rebellious style of facial hair for men who really don’t care about the latest trends. The horseshoe moustache takes some guts to pull off and is sure to become the thing you are known for best. The handlebar moustache is often regarded the moustache style for gentlemen. It’s neat, tidy and looks pleasant on both younger and older men. Some would see it as a little old fashioned but retro is all the rage now right? No facial hair? Don’t panic! Although beards are currently at the height of fashion right now, the clean-shaven look is still very popular (especially with non-beard-loving women). If you want to make yourself look younger or you’re looking to slim down your face, going clean-shaven could be the answer. If you’re looking to experiment with your facial hair, you’ll need to get growing it first! The key to growing a healthy beard is to take good care of the skin on your face, as well as your facial hair. Make sure you cleanse and exfoliate regularly to minimise nasty ingrown hairs. You’re also likely going to have to put up with a little itching as your beard starts to grow. Don’t worry it’ll stop, so try and perceiver. Applying a good moisturiser can help to combat the itchiness and keep both your skin and facial hair well nourished. 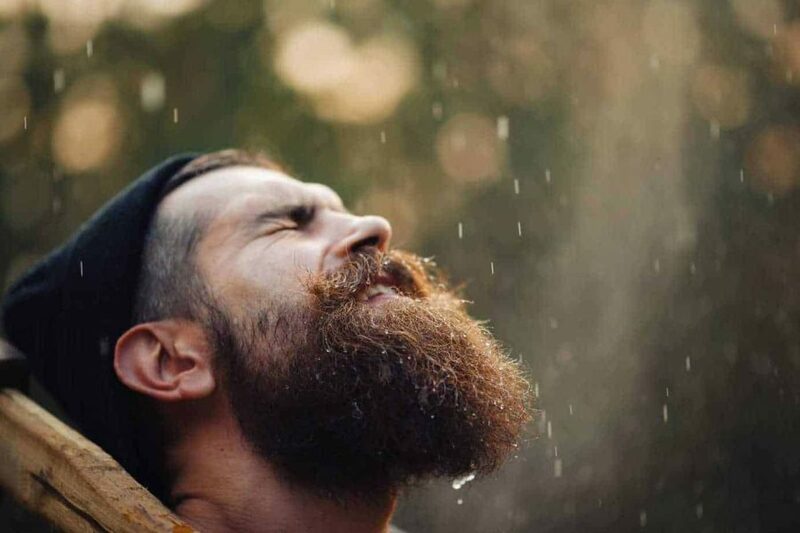 Unfortunately, half of all men struggle to grow full beards without some patchiness. The good news is that there is a great solution in the form of a beard transplant. Wimpole Clinic has helped many men take pride in their facial hair by carrying out FUE and FUT beard transplants. Head on over to our beard transplant page for more information or contact us on 020 7935 1861 to book a consultation with one of our specialists.